The Champon farm is a familial farm producing pearls since 2000. Initially founded by Bernard and Monique Champon, the farm is nowadays taken over little by little by their children Maeva and Aymeric. Aymeric who deals with the production part of the business since 2005 has acquired a huge knowledge and always keeps in mind that quality comes before quantity. Maeva, after a master in environment, manages research projects, setting-up partnerships with research intitutes as IFREMER (Institut Français de Recherche pour l'Exploitation de la MER - French research institute for marine exploitation), or the CRIOBE (Centre de Recherche Insulaire et OBservatoire de l’Environnement - Islands research center and environment obersvatory) and the Marine resources direction in French Polynesia, to improve production techniques. The main goal here is to make the form more eco-friendly and durable, improving pearls quality at the same time. The farm is a small structure made by a small young and dynamic team, whose aimed to improve pearls quality in sustainable way. 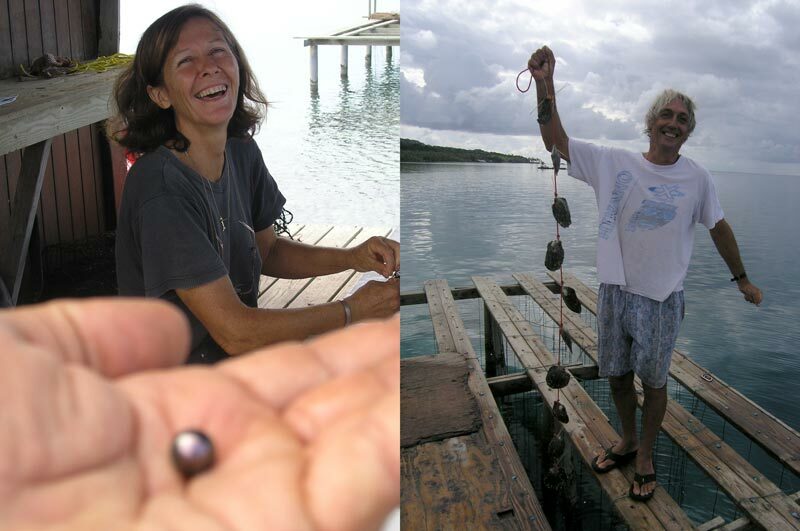 The farm is ideally located in the Tahaa-Raiatea lagoon, famous for its exceptional pearls quality. 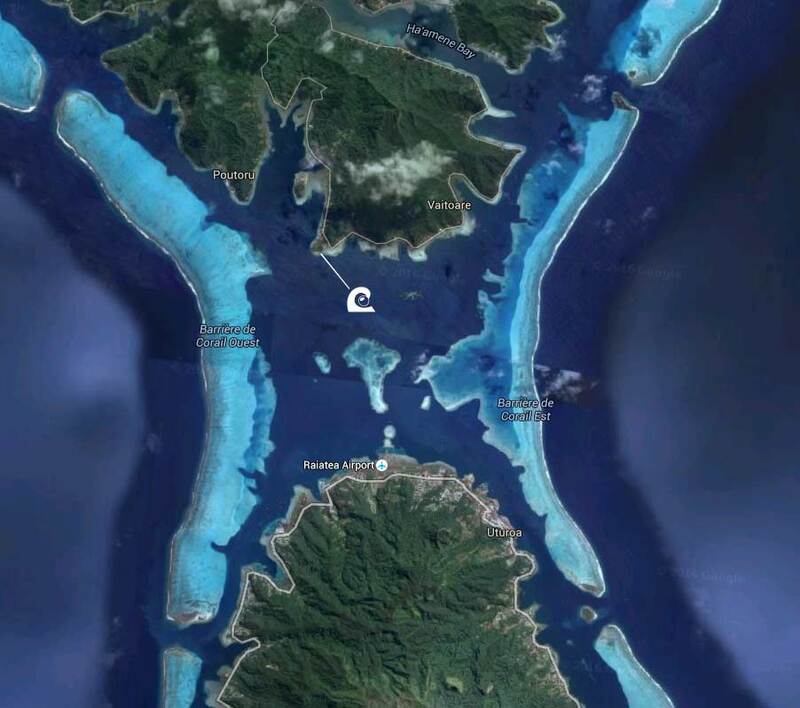 Thus, our maritime concession, where our pearl oysters are grown is in open water, in a lagoon benefiting from constant current thanks to ocean movments made possible by all the lagoon passes (breaks in the barrier reef). We made the choice to put our breeding lines next to the reef to benefit from the best water quality. Besides, we are a small business with a small team, but with an extended water surface (20 hectares), to let our oysters grow in optimum health condition, to produce, we like to think that way, better pearls. We only sell pearls and jewels crafted at the farm coming from our production, because we set the bar higher than the current official standards in terms of quality. Our marine concession can be compared to a wine "grand cru" that we enhance by our workmanship. We make the pledge to have the lowest impact possible on the environment. That's why we made the choice to develop sustainable production methods. Notably, we put the focus on cleaning oyster naturally rather than manually, which can be harmuful for the environment, but still in use most o the times. Thus, we favour the settling of small fishes colonies which eliminate "softly" the parasites that interfere with the nacre growth. Besides we limit the quantity of oysters breeded to not disturb naturel ecosystem of the lagoon. We work following the seasons to optimise the pearl oysters grafting operation, to avoid stressing them, to increase the maintaining level and the end quality. Finally a water recuperation and solar energy plans is in development. Our goal is to reach a production mode more in touch with the rich environment that surround us. The finest harvested pearls are sold at the farm shop, naked, or crafted as jewels. Pearls classification is done by Monique Champon herself, who is acredited by the governmment for this type of work. We garanty that each pearl sold at the farm, naked or mounted as a jewel, come from our farm, and quality criteria are always above the current norms. The finest pearls are crafted in amazing jewels with white or yellow 18-karat gold or fantasy jewelry (with leather or rhodium silver) to satisfy all tastes. Monique and Maeva produce original creations and we will be happy to help you picking your dream jewel. We also preserve a stock of astonishing naked pearls, unmounted to let you chooose among all shapes, colours, sizes and qualities the one for you. To satisfy all of our customers, we can make modifications to a mounted jewel or make new creation more in touch with one's sensibility. We made the choice of a broad collection to please everyone.